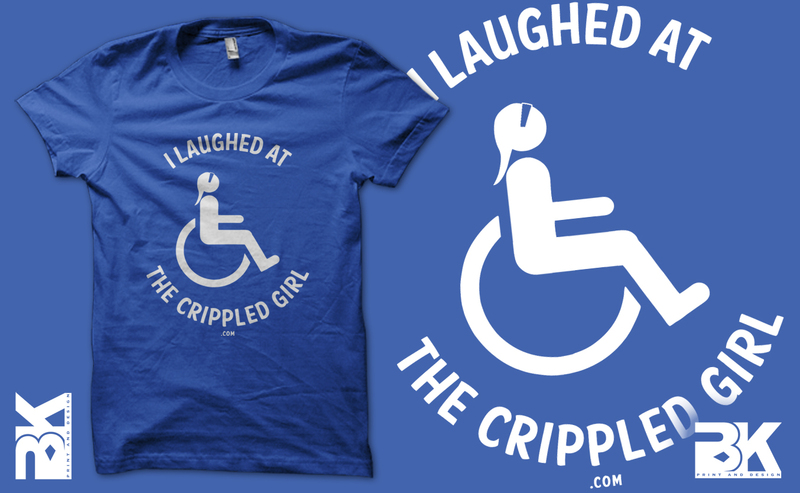 Get your ‘I Laughed at the Crippled Girl’ T-shirts before they sell out!!! SOLD OUT!!! You can reserve one of the out of stock sizes by e-mail allybruener@gmail.com and I will notify you once more are in! Thanks for your support! Would like to purchase an XL of this shirt once you restock, let me know! Are you now able to say, "I laughed at the crippled girl?"